I can't really tell, but from what I can see the detail on that waistcoat looks ace! hey... i know that guy!!! too cute! the styles you show are so repetitive, even the people are the same! 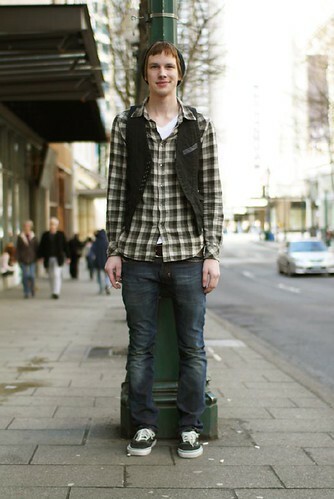 i can promise that there is more than one fashionable young person in seattle. he's cute, but you already showed us the first time!